In April 2012, we had a BBQ at our place so family and friends could witness my haircutting. I had grown my hair long from about 2001 to 2012. My hair had been corn-rowed, afro’d out, straightened, braided, worn out to scare little children and was beginning to naturally (and nastily) dreadlock, all over the last 12 years. I was glad it was going. My wife and I decided to use the haircutting as a fundraising for two of the ministries that we support – International Needs Network (www.internationalneeds.org.nz) who my wife works part-time for, and Voice of the Martyrs (www.persecution.co.nz). We raised about $1,500 that day and were able to split the money between these ministries to support their mission projects overseas. My friend Graham heads Voice of the Martyrs (VOM) ministry in New Zealand and he called me a few months ago to share something. He said that he had taken the whole money we had given to VOM from my haircutting and given it to a Pastor and his wife in Laos. This couple had taken the money and started a Bible school in their area and since the school started, fourteen young men had become believers and were attending this school. Graham also gave this Laotian couple some photos of my haircutting so they could see who and where the gift came from. The couple put these photos on their church wall and pray for us daily. I buzzed out knowing these believers all the way in Laos were praying for some dodgy-looking believers from South Auckland that they might never meet this side of Heaven! 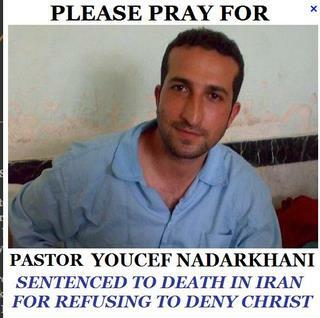 How often do we as believers in the Western and so-called developed world think of, pray for, and support believers in the persecuted churches across the globe? 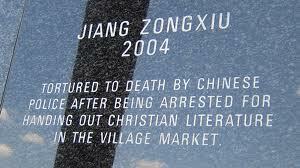 I couldn’t name that couple in Laos because it is illegal to be a Christian in Laos because it is a Communist nation. Their identities are secret because their lives would be in danger if Laotian authorities found out! Did you know that churches are regularly attacked and burned throughout Uganda, Sri Lanka, Iran, Pakistan and Kenya? How about the thousands of believers that are falsely imprisoned, tortured and killed for their faith across the globe every year? Or what about the hundreds of Christians in Muslim nations who are being forced to convert back to the Muslim faith or face punishment? Most churches in the developed world have very few connections with persecuted believers in developing nations. We’ll build church buildings the size of Westfield Malls that have the latest soundboards, lighting and smoke machines. But we have very few prayer meetings and fundraising events for these believers. Most believers themselves have little understanding of the persecution that Christians face and experience around the world. Human rights abuses are plastered on our TV screens but we ignore the senseless violence happening to our own brother and sister in Christ?! What then is true social justice? Does true social justice extend to only specific groups of marginalised people in a society? It seems to me that when Christians talk about social justice, these discussions are dominated with talk about social justice for the poor or social justice regarding marriage and gender equality. We talk about issues of structural and social inequality and religious tolerance. We discuss the basic human rights that people should have and the need for more liberal thinking. Yet speaking about justice for Christians, particularly the most marginalised and persecuted Christians, is almost a dirty or taboo thing to talk about. For some reason, social justice is externally focussed and does not always consider the injustices happening to Christians themselves. This makes me wonder what true social justice really is.